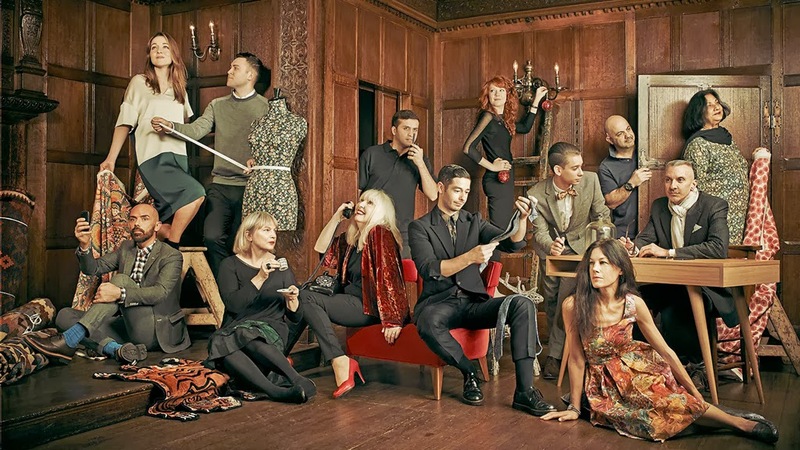 H and I need no more excuses to go to our favourite London store, Liberty, but if you need persuading, look no further than Monday nights on channel 4, the documentary 'Liberty of London' will give you about a million! This series has been a refreshingly honest look behind the scenes of this iconic home of the extraordinary. From the staff, to the product, to the customers, it is fascinating. Episode 2 that aired last Monday gave an insight into the design proses of the world famous Liberty print fabrics, which in my opinion could fill a series itself. The thing I love most about the show is the brilliant honesty that is relived from the staff and the GM himself that Liberty, like any business struggles to stay current whist classic and to stay out of the red with the bank. You don't expect to hear that a store of this stature and age, only five years ago was struggling to make payroll. Like many of the shows before it though, it is that characters within the staff that make the show. From the floor staff in the haberdashery department, to the fabric designers, to the sales lady who has worked for Liberty for 40 years (and as their top sales person makes over 1/2 a million for them in sales every year), each of them is a gem and more than anything is truly in love with their life within Liberty. So if you have never visited the store before, or if you are a regular visitor like H and Myself, tune in this Monday 9pm Channel 4 to catch episode 3 of three (Channel 4 please make more!!!) and catch up with what you have missed on 4OD, you will not be disappointed.